No matter the magnitude of your cleaning job, we provide fully insured domestic and commercial cleaning services across Hotwells and Clifton. Our guarantees apply to both one-off and regular cleaning of homes and offices, to give you the assurance that your premises are cleaned using the highest service standards. Our highly trained cleaners deliver an end-to-end job, using only non toxic cleaning materials, to provide you with a totally safe and hygienic cleaning service. Always punctual and efficient, our reliable cleaners can meet your individual needs, whether it is for after-office-hours clean or a weekend clean. You also gain peace of mind, in the knowledge that all our dedicated cleaners are have been extensively referenced. 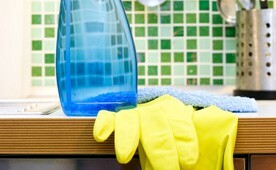 Are you concerned about the costs of a deep clean service, or for a regular home or office contract? Speak to one of our helpful cleaning staff who can easily customise a plan that suits your budget. Call our local office today for a free quote on 0117 345 9015.